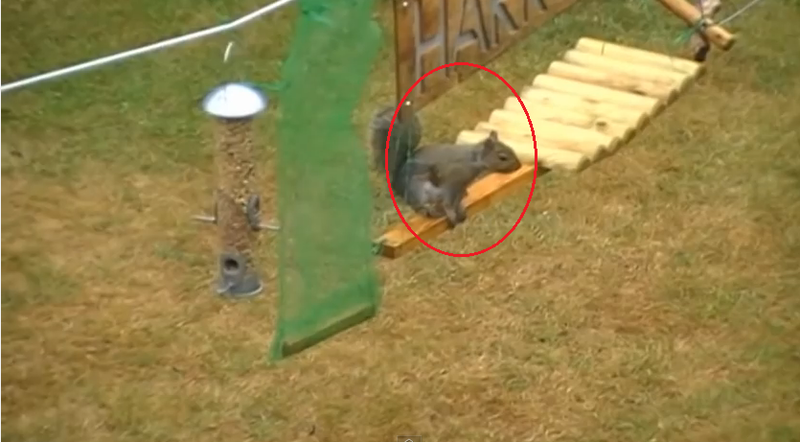 Englishman Builds An Obstacle Course For Squirrels. And It's Awesome!!! For many people especially those who keep bird-feeders in their backyards, squirrels are a nuisance. These creatures have a knack for stealing the seeds and nuts that should've been for the birds. But for one Englishman, squirrels are more than welcome to come to his nice backyard and feast from his bird feeders. However, the squirrels have to prove themselves worthy of the treats first. Steve Barley decided to have some fun with the squirrels so he built three obstacle courses in his backyard. Each obstacle course leads to a bird-feeder full of nuts and seeds. The squirrels have to go through the obstacle courses before they can take a bite of the tasty treats. Are the squirrels up for the challenge? Watch how they did in the video below.